Gamila Secret is the child of Gamila. Born and raised in a small village called Peki'in in Galilee, Northern Israel. Her father learned the power of nature from his mother and passed the knowledge on to Gamila. Her father had lost most of his sight and so, taught her how to 'read' nature based on her other senses. 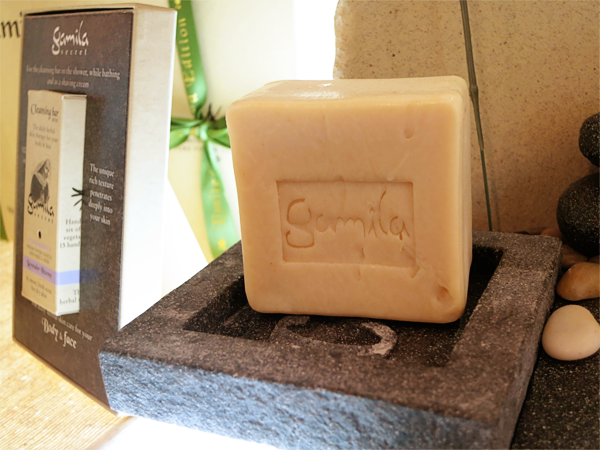 Gamila then started crafting soaps from Olive Oil, vegetable oils and wild herbs. 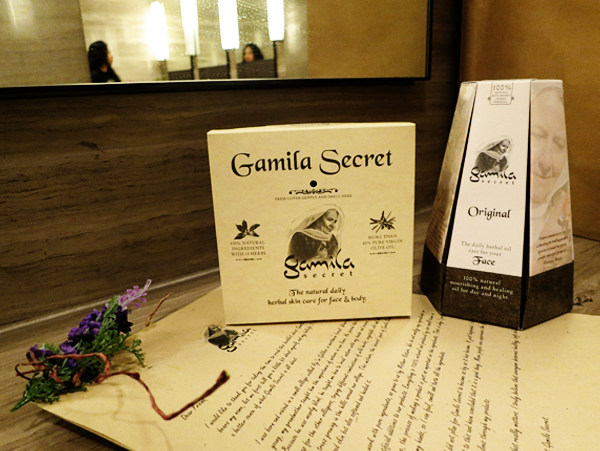 Gamila Secret's products are all 100% natural (Herbs are handpicked by Gamila herself!) and lovingly handmade by Gamila and her team. There are no traces of preservatives, fragrances and parabens... Everything comes from Mother Nature! 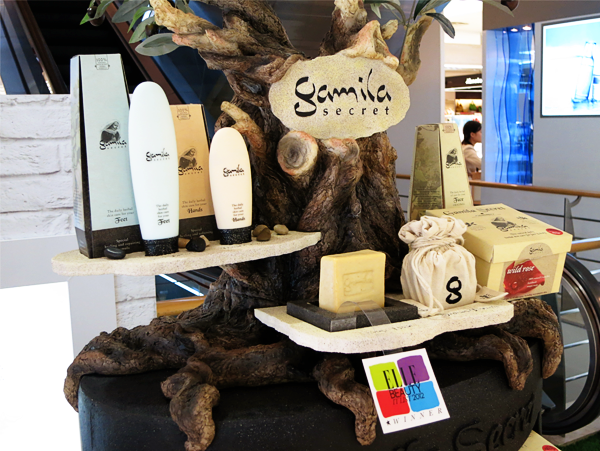 The same basic ingredients are used in the production of most Gamila Secret's products; pure Extra-Virgin Olive Oil and a cocktail of no less than 15 fully active wild herbs, steeped in minerals and vitamins, that will do nothing but nourish, clean and nurture the skin. Other commonly used oils in the products are Shea Butter, Grape Seed Oil, Sweet Almond Oil, Avocado Oil, Lavender Oil and of course, Gamila's secret herbal mix of a cocktail. 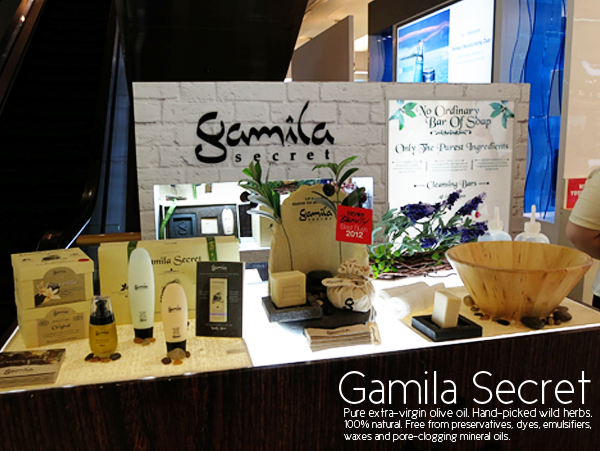 Gamila Secret's collection consists of just 4 items; Cleansing Bar, Face Oil, Hand Cream and Foot Balm. 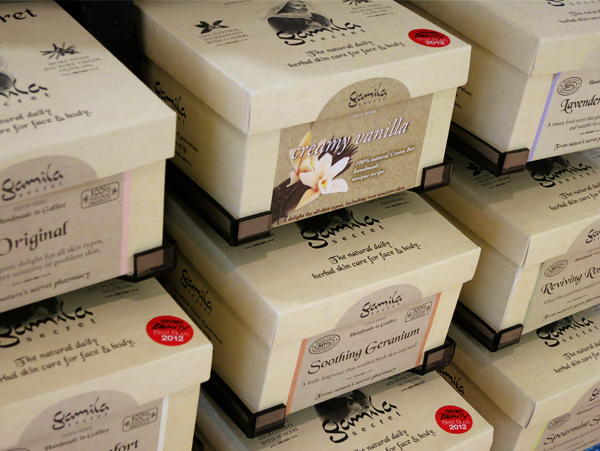 Each of these handmade bars is a formula of a blend of 6 pure vegetable oils and Gamila's secret herbal formula. It heals, softens and nourishes the skin and at the same time, it refines the skin's structure and pores. It also regulates the skin's hydration balance. The bars comes in 10 different flavours, catering to various skin types; Original Cleansing Bar (The only one without essential oils. ), Lavender Heaven, Jasmine Comfort, Miracle Mentha, Reviving Rosemary, Soothing Geranium , Spearmint Sparkle, Lively Lemongrass, Creamy Vanilla and Wild Rose. This day and night care treatment seeks to replace all your other regular skin care products! It contains 8 pure vegetable oils and Gamila's secret herbal formula. It absorbs quickly and penetrates deeply to provide hydration and regeneration. Wrinkles and lines are kept at bay and your skin is well-protected from unnecessary stresses. Your leading men (Dad, brother and soulmate.) can also use this after shaving to soothe irritated skin and babies can seek relief in this oil too. 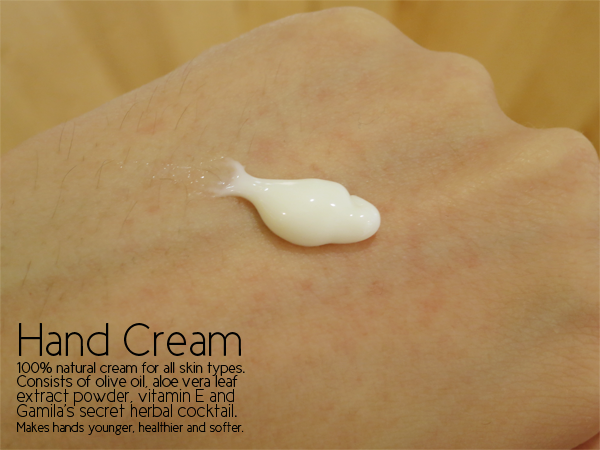 This hand cream is a mixture of the finest possible first-pressed vegetable oils with Gamila's secret herbal formula. It provides a citrusy delight to hands as it penetrates immediately and deeply into the skin, repairing and protecting it. This minty treat is a combination of the purest first-pressed vegetable oils with Gamila's secret herbal formula. 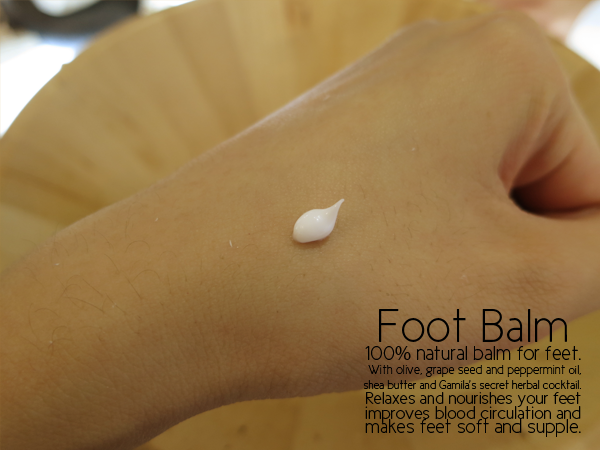 It hydrates, soothe, soften and revitalize dry feet. Hardened and irritated skin will find relief in this magic balm. I will be trying out my Gamila Secret products soon. (: Pretty excited about it actually because the cleansing bar did not make my hand feel dry after washing it off!